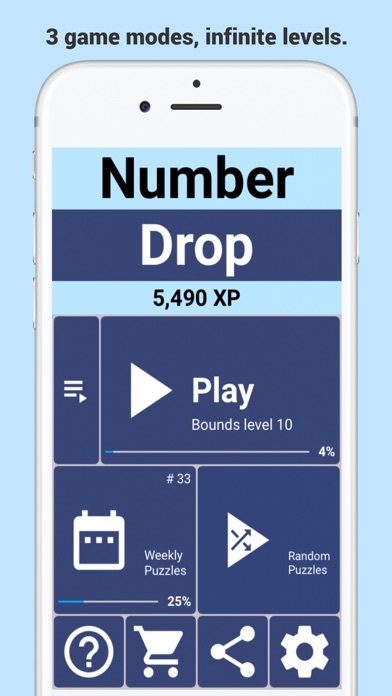 NumberDrop is a uniquely challenging math puzzle game that trains your arithmetic and logic. You have to use your math skills and drop the numbers in the right order to complete a puzzle! 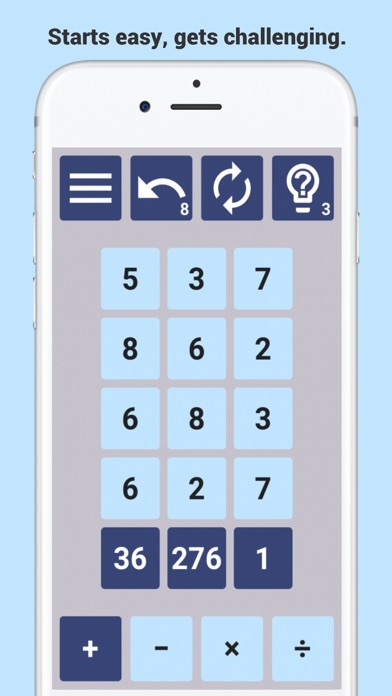 • Add, subtract, multiply and divide your way through hundreds of captivating levels. • The levels steadily increase in difficulty to train your brain. • Fresh puzzles delivered to your phone every week! • Play our game anywhere, any time with offline play and no time limits. 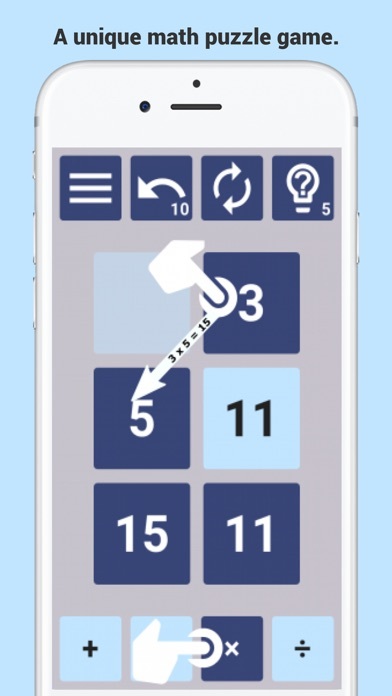 • Leaderboards show off your arithmetic skills. 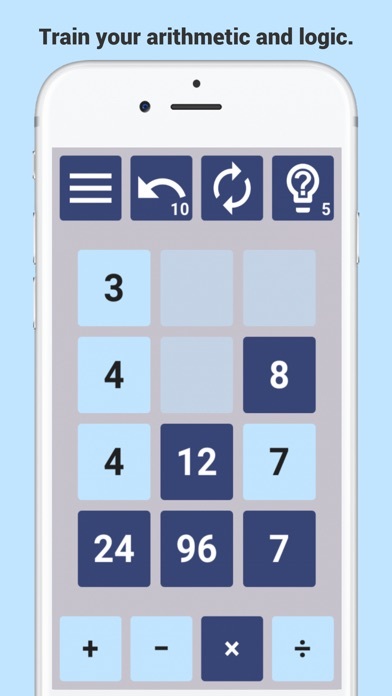 • Generate infinite puzzles in random mode. • Share any puzzle with friends to share the challenge! 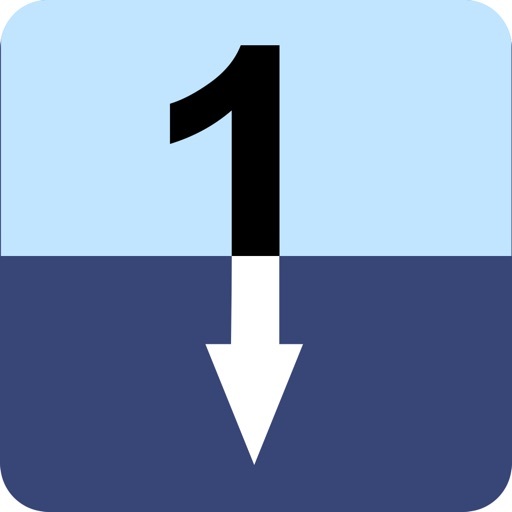 • Select +, -, × or ÷ and swipe between two numbers to combine them. • The bottom row values must match the target values with nothing left over. • Sometimes you will get stuck. You can restart, undo or use a hint. Share your favorite puzzles with us and if we feature it as puzzle of the week, we will reward you with in-game items!